London based jewellery designer Mikey specialises in unique, wearable glamour for all occasions. 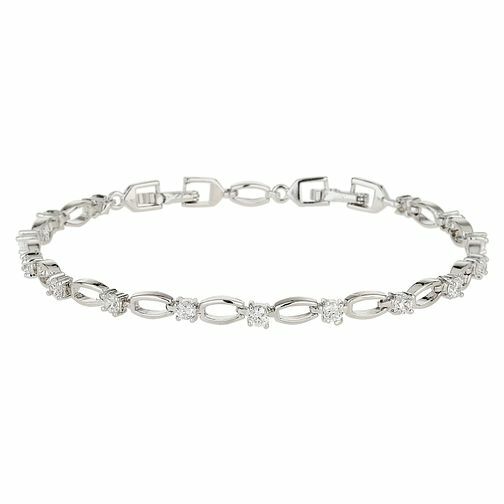 A jewellery box classic, this glittering round cut crystal tennis bracelet is styled in shining silver tone rhodium plate for a fresh, contemporary feel. Mikey Silver Tone Cubic Zirconia Tennis Bracelet is rated 5.0 out of 5 by 4.